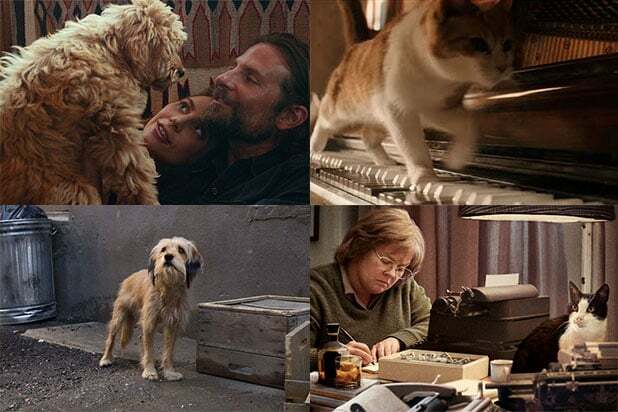 I believe animals in film bring a sense of reality to the scene. They make us more conscious about the actions and decisions of our heroes. There’s a beautiful scene in “Panic in Needle Park,” when Al Pacino and Kitty Winn play addicts who shoot heroin on a ferry and the puppy they just adopted appears to fall off the boat and drown. It’s tragic, and by looking at the innocent animal they just hurt, the characters finally realize the consequences of their actions. I think we all have a natural affinity to animals, so it can play on that deep emotional connection. We relied on the expertise of Jim Lovisek, one of Canada’s most experienced animal wranglers. He knew and had trained all of the animals well that were brought to set, so he was a tremendous help. His mandate was to ensure every animal went home happy and healthy every day. Jim has passed on since production, but we owe him a big debt of gratitude for his work. 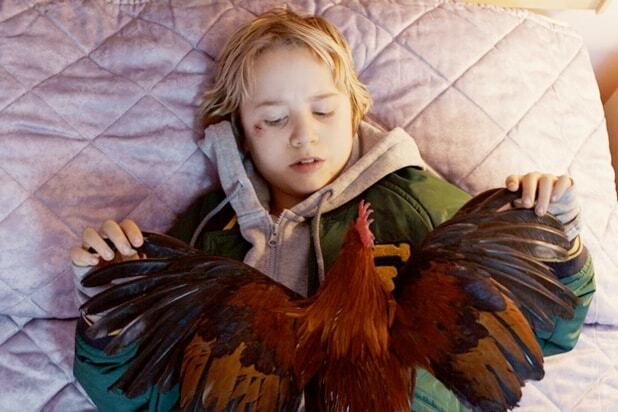 We had one tiny rooster for our child actor Frank Oulton. Frank lives on a farm in Nova Scotia where his family has hundreds of roosters. When I met him during his first audition, he brought one of the family’s roosters with him. I knew I had to cast a young actor who could be completely comfortable handling an animal on camera. We placed the wranglers among the background actors to make sure everything was safe at all times for both the roosters and the human actors. During the rooster “fight” scene, there wasn’t any real physical contact between the roosters. The wranglers would blow some air lightly toward them so their feathers would tense. For that “fight” scene, we choreographed pick-up shots of the roosters getting rowdy and pecking at each other as they naturally do, while insuring that none came to any harm. We also used longer lenses as well as slow-motion and step-printing effects, cutting between individually innocuous shots to make the “action” look more real. There’s a scene in “Mobile Homes” where Imogen Poots, Frank Oulton, the chicken and the mobile home all go underwater. For obvious reasons, we used a prop, toy chicken in the water scene. Our prop master bought a fake rooster from a toy shop and painted it to be the same color as our rooster actor. He put it in water for days and plucked some of its feathers for it to look like it had actually drowned. But our real, live rooster was safe and dry throughout. You and your actors have to be ready to adapt to what the animals do. For the filmmakers, it meant being flexible with the blocking, shooting handheld or on steady cam and being ready to reframe and adjust our filming strategies throughout the shoot. There was one specific moment where the rooster jumped from Frank’s arms and landed on Imogen’s head. That was completely improvised by the rooster. Our steady cam operator just followed the rooster as it moved and Imogen reacted perfectly. But there are certain marks animals will never hit. They typically won’t respect your tracking shots, so be ready to lose control and embrace the moment. It’s fun. “Mobile Homes” will be released on demand and digital HD on January 22. The Paris-born Vladimir de Fontenay has studied and worked in France, Italy and the U.S. His feature debut, "Mobile Homes," starring Imogen Poots and Callum Turner," opened in theaters in 2018 after winning the audience award at the 2017 Athens Film Festival. The feature was expanded version of his award-winning short "Mobile Homes," which screened at the SXSW Film Festival and Clermont-Ferrand Film Festival in 2013 and received first prize at the Wasserman Awards-NYU Graduate Film School's top honor as well as a National Board of Review award. Vladimir also directed the music video "Golden Line," which premiered at the SXSW film festival, and co-directed "Memoria," a film collaboration starring Keith Stanfield, Thomas Mann and James Franco. Vladimir also directed a short documentary "What Lies Beneath the Sky," narrated by late filmmaker Chantal Akerman, which premiered at the Tribeca Film Festival.